This resource has been written by Tim Manson, who will be well-known to Geography teachers and is author of Colourpoint's popular textbook 'Geography for CCEA GCSE' (ISBN 9781780730325). 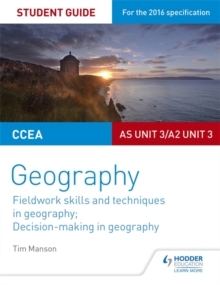 The content covers the entire examined GCSE Geography course from CCEA, and follows the same topics as the specification. 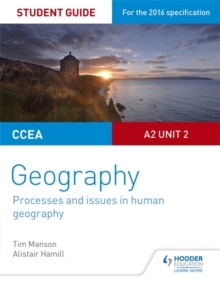 The book has been endorsed by CCEA. 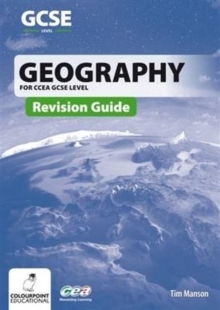 This full-colour revision guide supports the textbook with the specific aim of aiding revision. The first part of the book covers the basic knowledge required by the course in summarised form, closely mirroring the order of the textbook. This material is supplemented with key words, revision tips and 'test your revision' questions.